Is the family heading to the mall this weekend? 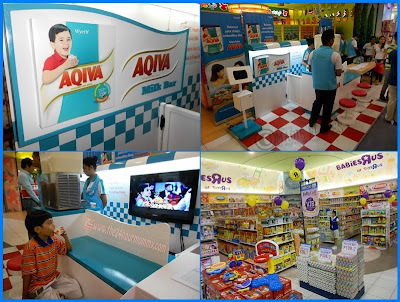 Why not let visit the Aqiva Milk Bar at Toys R' Us Robinsons Galleria so the kids can enjoy the healthiness of Aqiva while you go ahead with your shopping tasks? The mall is filled with unhealthy food that attract kids. Cotton candy, chocolates, chips, fastfood chains - name it, they have it. But these kiddie favorites do not usually have the nutrients that your growing kid needs. 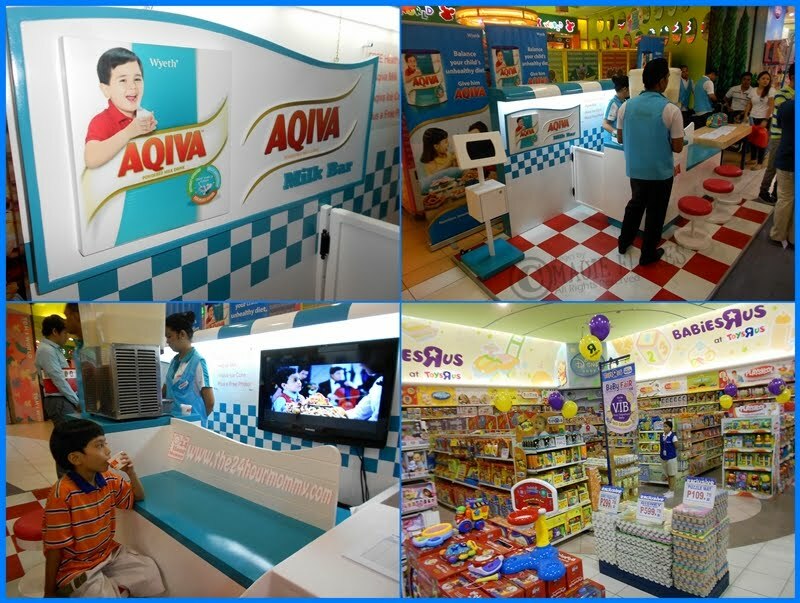 Being one of the favorite destinations of kids in the mall, Toys R' Us partnered with Aqiva to provide a healthy break for kids. The cool Aqiva Milk Bar is located at the main entrance of the toy store. Your kids can enjoy a cup of yummy Aqiva milk as it is or as a snow cone. There's also a free photo booth to capture the precious experience. Don't you think the Aqiva Milk Bar is the perfect place to have your kids hang-out so he won't see the newest wii games on display? Haha! Aqiva is a nutrient-rich milk supplement for kids 4 years and older. It contains more than 40 ingredients including 25 essential nutrients to help supplement your growing kid's nutrition while you train him in healthy eating habits. It comes in a great-tasting vanilla flavor that your kids will surely love. For more information on Aqiva, you may call the Wyeth Careline at 81-Wyeth (81-99384) for Metro Manila and 1-800-10-884-222 (toll-free) for provinces. You can also check them out on Facebook (facebook.com/AqivaPH).